Speaking to the two-day semi-annual session, President Raúl Castro reiterated the leadership’s commitment to undertaking the reforms outlined in the Sixth Party Congress last year. He didn’t explicitly address concerns reported in international media that implementation of the reforms has been halting, but he announced several concrete steps to be undertaken this year. Among them is the creation of non-agricultural cooperatives – allowing a new form of private enterprise in 222 business areas and announcing government loans for them – and greater decision-making autonomy for state enterprises. The Assembly passed a new tax law, details of which have not yet been published. 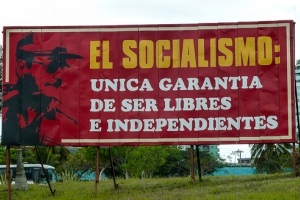 From the beginning of the current round of reforms, Raúl Castro and the Communist Party have cautioned that the changes will be introduced gradually and adjusted during implementation. The credible reports of frustration with the pace of change notwithstanding, the National Assembly appears to have validated that getting the reforms “right” is more important than doing them fast. The government probably calculates that the new cooperatives and tax law are important elements of an infrastructure for change, but slow or partial implementation will undermine them. The perennial question remains whether the government’s concern with control discourages important energy among the individuals it is counting on building the new limited private sector.